On this episode of Chatting with Canadians (you can read my first post here and Christine's posts here and here), I'll be introducing you to my favourite place in the world, Vancouver Island. Regular readers know that I grew up on Vancouver Island, so it should come as no surprise that my heart still lives there. So I'm going to take you on a little tour, starting from the Southern end and ending 460 kilometers (290 miles) later at the Northern end. First up, we've got Victoria, the capital city of British Columbia. While the city itself is relatively small, the Greater Victoria Area boasts a population of nearly 350,000 people. It's a beautiful city, full of waterfront walks, shopping, good food, and it even has it's own international airport. 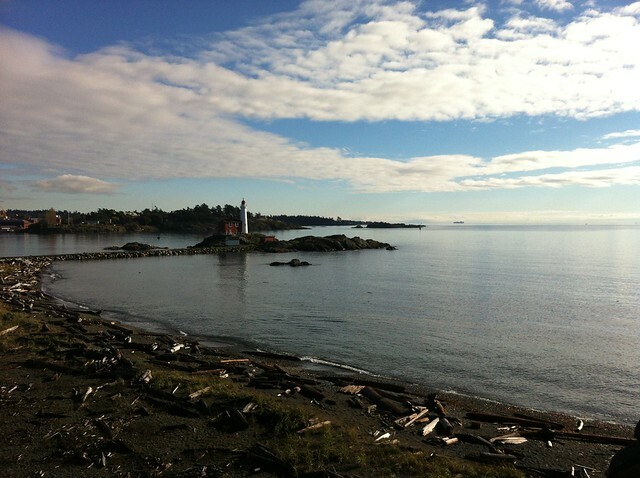 My favourite place in the area, by far, is Fort Rod Hill and Fisgard Lighthouse. It's a National Historic Site, but it's totally worth the $4 entry to take a walk around the old buildings and take in the views. 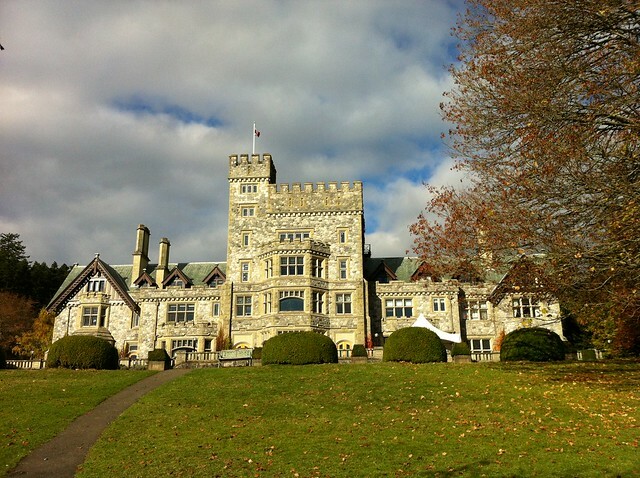 Also a "must see" is Royal Roads University. Previously a military college, it's now a public university. The "castle", built in 1908, is actually a house built by a (very wealthy) coal baron. Moving North on Highway 1, after about an hour and a half, you'll arrive at the second biggest city on the island, Nanaimo (my hometown). Nanaimo is rumoured to hold the record for most strip malls per capita in North America. Apparently it's 82,000 residents like to shop. Nanaimo has a gorgeous harbour and waterfront, and rich folks have been know to park their yachts for awhile. 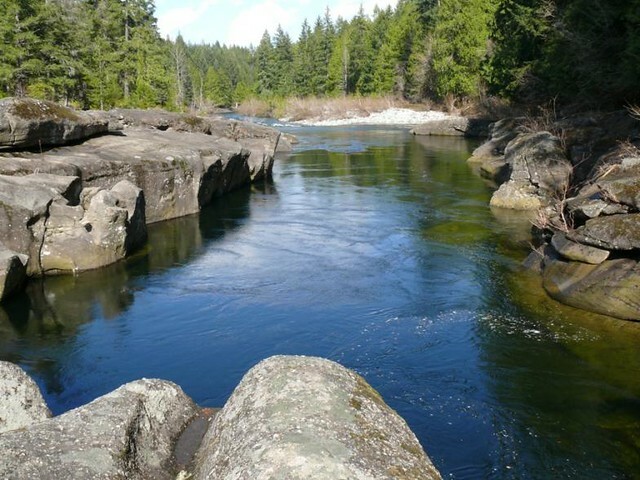 The Nanaimo River is a great spot for summer swimming. Certain places along the river are great for tubing, or floating, or even jumping from cliffs. However, some places are incredibly dangerous, and people drown every year. While there's plenty to see north of Nanaimo, we're going to keep going until we reach the west coast of the island, specifically Tofino and Ucluelet. 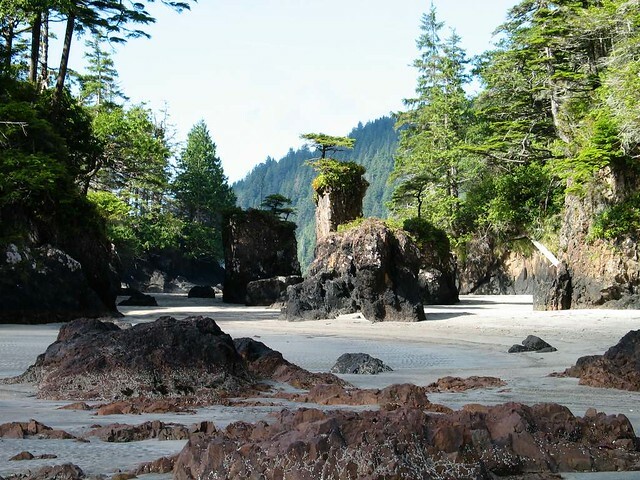 The Wild Pacific Trail in Ucluelet is an absolute must see. 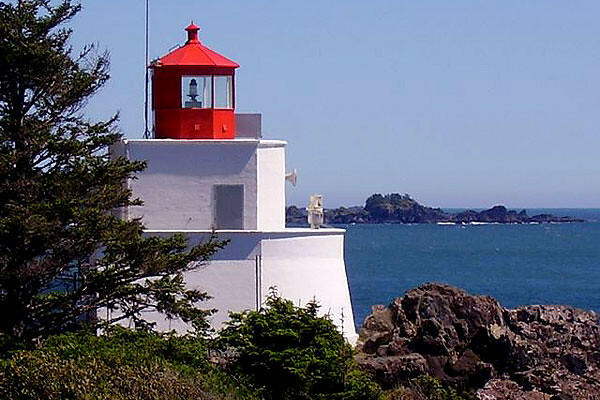 A relatively easy walk through vividly green temperate rainforest brings you to the Amphitrite lighthouse perched on a rugged shoreline. 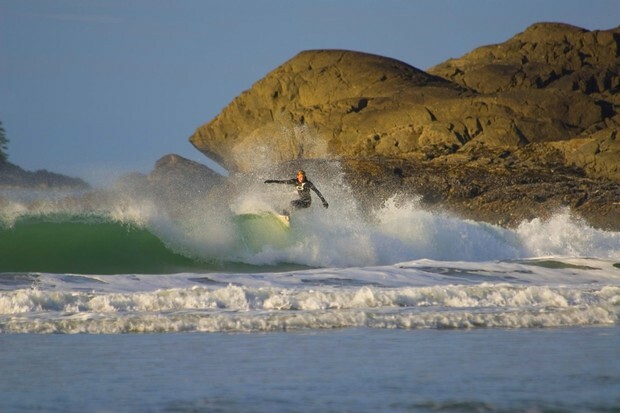 Tofino is famous for it's surfing! Long Beach is the most popular destination for tourists, but Cox Bay and Chesterman Beach just might have better waves. The last major point of interest on Vancouver Island is Cape Scott Provincial Park, all the way at the very end of the island. It's a long way to get there (6 hours from Nanaimo), but apparently the hiking, camping, and landscape is beautiful. I haven't been lucky enough to have been there myself! Vancouver Island is home to it's fair share of wildlife, including wolves, cougars, black bears, squirrels, deer, elk, stellar jays, and eagles. 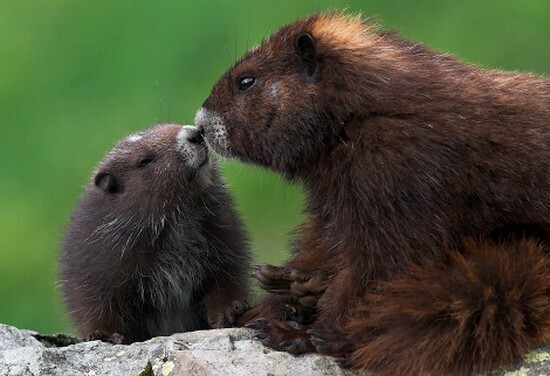 Oh, and of course the nearly extinct Vancouver Island Marmot. There are fewer than a dozen of these guys left in the wild, and there are breeding programs in place for them all over the country, including in Vancouver, Calgary, and Toronto. And on that note, I'm done talking! Have any of you ever been to Vancouver Island? What was your favourite spot? I've missed a lot of great places of interest, but I've ran out of time, haha.